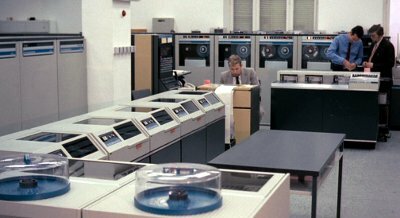 The Siemens System 4004 was essentially a rebadged RCA Spectra 70 machine, itself designed to be partially compatible with the successful IBM System/360. 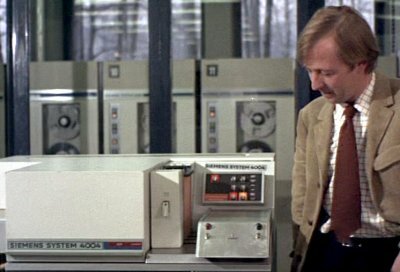 A group of scientist try to calculate the location of the remaining golden tickets using a Siemens System 4004. 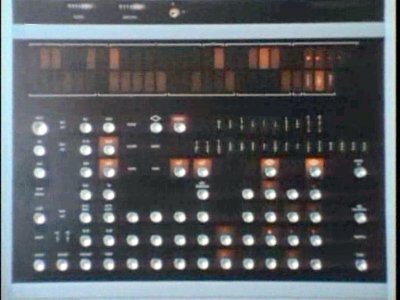 The Siemens System 4004 plays the part of the Simulakron computer which simulates the artificial world. 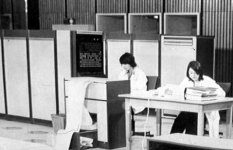 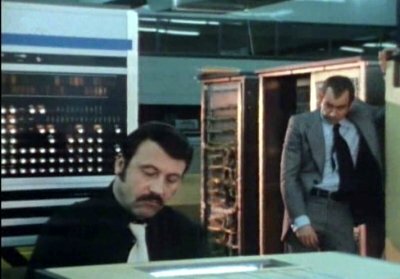 The German authorities profile the population using a System 4004/45 to locate possible RAF members.